Due to his work interrogating the role of certain chemicals in vole behavior at Yerkes National Primate Research Center, Dr. Larry Young has come across the problem of his results being portrayed hyperbolically, as the science sometimes goes to fictional lengths. Yet this work has important implications for mental health. To demonstrate this exaggeration as well as its potential, I am going to address: 1. the buildup of the oxytocin hype, 2. the translation of the research and 3. the ethical implications in humans. 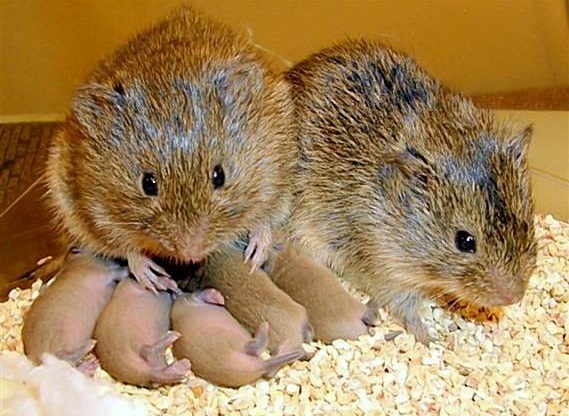 Dr. Young researches oxytocin (OT), a neuropeptide known to be involved in birthing and associated with maternal bonding, and his lab utilizes voles as an experimental model. Their research was founded upon on the idea that prairie voles are highly social, bi-parental, and monogamous by nature while meadow voles are less social, uniparental, and promiscuous. They investigated differences in oxytocin receptor distribution in the brains of prairie voles and meadow voles and found that in the monogamous prairie voles, there are more oxytocin receptors in the reward system of the brain. Young and colleagues then injected oxytocin antagonists into the nucleus accumbens (NAcc), an area implicated in bonding and reward. They found that prairie voles, whose oxytocin receptors were blocked, would not bond when they mated. In 2004, Dr. Young began studying the neuropeptide vasopressin. The vasopressin receptor gene (Avpr1a) is expressed in another reward area, the ventral pallidum, which was previously associated with pair bonding in monogamous prairie voles. He then expressed this gene into the ventral pallidum of the promiscuous meadow voles. With the "new" vasopressin receptors, the meadows voles subsequently bonded monogamously like the prairie voles. This experiment showed that a fundamental aspect of behavior can be transformed simply by altering a single gene in an animal. By this time, Young's research with voles was published in high-impact journals such as Nature. As a result, some media articles made exaggerated claims suggesting that the research was applicable to humans, though Young and his team never said that. The media came up with several catchy titles such as "Monogamouse," and "Genetics could keep Mickey and Mini together," and "Love is a drug for prairie voles to score!" It also brought about the question of "the fidelity gene." The results of the vasopressin and oxytocin research, along with their potential applications in products and the insights gained into the workings of the human body have inspired numerous press releases and even several further scientific studies. In an interesting turn of events, the media coverage inspired Nature to ask Dr. Young to write an essay about love. This signified a transition for Dr. Young wherein he shifted to thinking about the translatability of his work to humans: could a human mother's love be all that different from a chimp or macaque mother's love, which in turn is not all that different from a vole mother's love? Thus, his work at Yerkes shifted to a focus on humans, and his lab sought to discover whether early life experiences can affect our ability to form bonds later in life. Additional research in this area included modeling of depression-like symptoms in voles after the loss of their pair bonded partner and studies of consolation in these animals. The research of Young and his team contributed to a growing body of data suggesting that oxytocin is the pair bonding hormone, not to be confused with the love or “cuddle hormone." 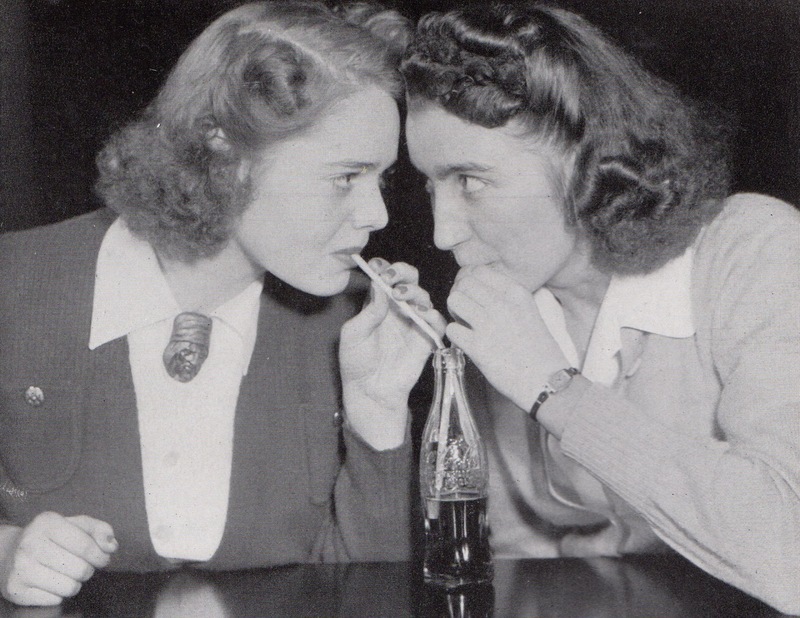 In all the OT hype, Dr. Young and others realized that oxytocin had important applications beyond inducing labor and pair bonding in humans and other mammals. Oxytocin is critical in its role with social affiliation more broadly. In fact, one study found that oxytocin increases gaze and the ability to maintain eye contact. Another study showed that oxytocin enhances the brain reward system responses in men when viewing the faces of their female partner; when husbands were put in scanners and viewed pictures of their wives, the same brain regions are activated in humans and in pair bonding voles. "I have been using this secretly for about a week. I wanted to see if it affected my husband of 18 years at all. I think it did. He has been a lot more attentive and cuddly the last few days. Every time I turn around he wants a hug, or just wants to hold me. No complaints here :D There is no fragrance to this that I can smell which I love so you can wear it with your regular perfume." Perhaps the most hot button topic in oxytocin research is that it has been implicated as a potential therapy in autism spectrum disorder (ASD), which is currently untreatable with pharmacotherapy. Dr. Young notes that researchers are currently working to find a way to get the brain to stimulate an increase in release of oxytocin by means other than the use of chemical sprays. Moreover, some studies have found that increased concentrations of oxytocin in the brain have increased emotion regulation, eye gaze, and ability to interpret nonverbal facial expressions in patients with ASD. 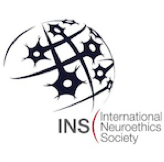 According to Young, this, in turn, incites the ethical consideration of whether parents are justified in seeking intranasal OT to treat their autistic children and whether physicians should be allowed to prescribe intranasal OT to their patients if they deem this appropriate. He also asks, should we use oxytocin to promote sociality beyond just those with ASD? Is this a form of cosmetic pharmacology? "We use this on our 6 year old son who maybe on the spectrum. He has terrible meltdowns and has had problems socially. This works as a miracle cure – sometimes. Sometimes he is engaging and interactive, patient, kind, loving, amazing. Others he still has meltdowns. "This isn’t an approved treatment but works better than language or sensory therapy ever did on the same issues. Plus it helps him sleep. All in all – definitely amazing." Another ethically controversial scenario Dr. Young raised was the possibility of using OT to promote trust in patients such as for psychotherapy. I’d add that we can venture and ask what this means for the future of healthcare. In accordance with the study that found that oxytocin increases trust, we can theoretically make anyone more trusting, and this has potential applications in all fields! If OT makes people (from any vocation or background) trust more, then patients may open up and tell their doctors and psychiatrists the full extent of their symptoms. In situations outside the medical field, it is possible that investors could look to invest their money in people or corporations they can trust; maybe we could have more effective lawyers once they have 100% trust in their clients, and perhaps everyone wins. As expected, though, there are many ethical issues to take into consideration before we start entertaining the notion that we can chemically induce trust. Many, including patients in this context of healthcare, often have reasons to withhold trust or choose to cultivate trust over time. Would oxytocin truly enhance or deteriorate the patient-doctor therapeutic alliance? We must ask ourselves, could this actually do more good than harm? Would it be worth it in the grand scheme of things to chemically induce trust or are we fine the way we are, since we have evolved to only produce and utilize a certain amount of oxytocin in our bodies? Could oxytocin assist in positive social interactions in general, even in people who don't specifically have any diagnoses of ASD or another disorder? Might it even be used for cognitive or moral enhancement? Even now, while the science continues to evolve, there is no shortage of oxytocin consumer products. There is a risk that if consumer use continues to outpace the evidence, then the full therapeutic potential of oxytocin may never be realized. In summary, Dr. Young's research provides many examples of how creative basic science research can have a tremendous impact for human populations and the importance of scientific engagement with the media to optimize translation and communication of the key messages. I did not like this blog article because it has been copied and pasted from another source. I'd really like to hear someone's opinion in their own words on Oxytocin and their own experiences with it RELATING to research, instead of just a repeat of what everyone else has repeated about it. Isn't that what a blog is for? To write your opinion on something? Not reblog some other article that I've just read 4 times over on different sites.